One of the most important aspects of donor retention is making sure to thank your constituents for their contribution to your cause. Letting them know that they are appreciated and that their money was put to good use is a major factor in turning one-time donors into repeat donors. 46% of study donors stop giving for reasons that are connected to “a failure to communicate,” according to Burk. 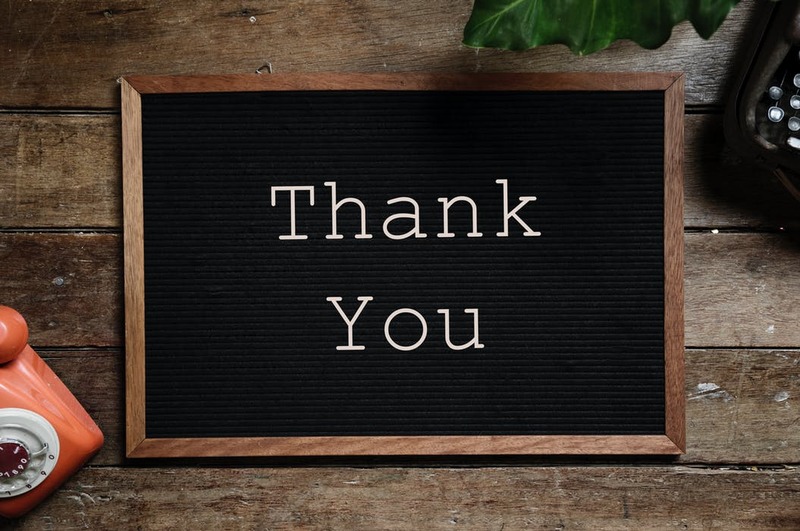 95% of study respondents would appreciate it if a member of the organization’s Board of Directors called them within a day or two of receiving their gift just to say thank you. If this happened, 85% of respondents said that they would likely donate again and 86% would likely or definitely give a larger gift. 93% of responding donors would definitely or probably make a repeat donation to a charity that provided a prompt and personal thank-you. Send a card. Rather than mailing a letter with your corporate letterhead, pick out a greeting card, write a hand-written note and mail it to your donors. This feels more personable and everyone loves getting cards in the mail. recipients of the donations. This not only says “thank you,” but also gives donors a peek into where their gift went and who was impacted by it. card so that donors have a visual of where their money went and the effect that it had. Donors like to know specifically how their gift was being used by your organization. Send swag. Mail your donors a customized t-shirt, coffee tumbler, notebook or other personalized tokens to show them that you appreciate their donation. These larger gifts are great for recurring or major gift donors, but be sure they fall within the IRS’s current guidelines for ‘insubstantial gifts’. Pick up the phone. These days, more people send texts than make personal phone calls. Be “old-fashioned” and call your recent donors to personally thank them for their contribution to your cause. When you call, make it a simple thank-you rather than trying to solicit for further gifts. They will feel that you truly took time out of your day to thank them for their gift. There are so many ways to say thank you to your donors, and being sure that you’re making thank-you’s a priority is important. If your organization utilizes Constituent Relationship Management (CRM) software like ResultsPlus, you can keep track of when letters are being sent, to whom you need to send them and even create them in bulk. Whether you say thank you via video, in a hand-written letter or with a photo collage, it’s the thought that counts and your donors will truly appreciate the gesture. Want more creative thank-you ideas? Pinterest is a great resource!